Can a response be sent to two emails with the submit button? 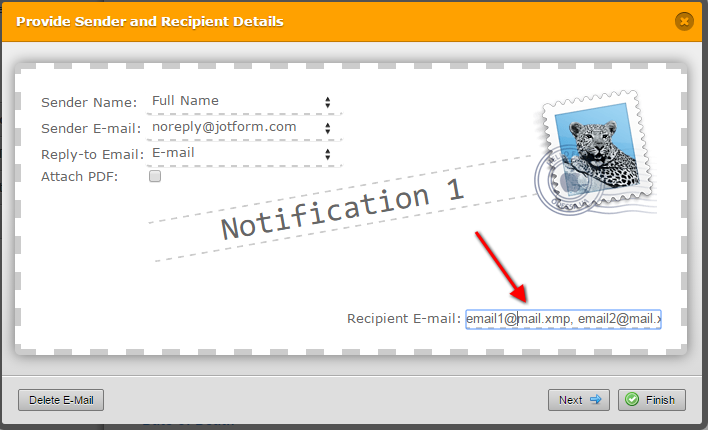 You can set an Email Notification to send submissions to multiple recipient by separating the emails with comma, so every time form is submitted both will receive an email. Please view our guide Send Notifications to Multiple Recipients.